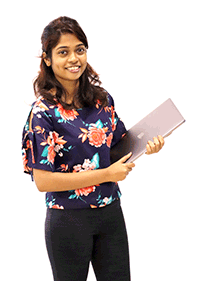 Kavishka is a Software Engineer based in our office in Colombo. Before she joined WSO2, Kavishka worked as an intern at Virtusa. She was responsible for the API Banking developer portal that is used by various global and Sri Lankan banks. Kavishka has a BEng (Honours) in Software Engineering from Informatics Institute of Technology. She was the Deputy Head prefect of Bishop’s College, Colombo. She was also a finalist for NBQSA in 2016 and 2nd runner up at Manthan Awards South Asia. Kavishka enjoys music, singing, dancing, and acting.